In a memo to store managers, Walmart U.S. CEO Greg Foran said the company is looking for other roles for greeters with disabilities who are due to lose their jobs. Editor's note: If you're a Walmart greeter — or know someone who is — and would like to share your story with NPR, please reach out to us at tech@npr.org. Walmart's U.S. CEO Greg Foran is telling all store managers that they should make "every effort" to provide new job options for greeters with disabilities. Many of these front-door workers remain in limbo as the company plans to eliminate its trademark greeter position in about 1,000 stores in coming months. The letter from the CEO to managers follows widespread outrage from workers, disability rights advocates and shoppers at Walmart's plan to phase out its "people greeters." NPR reported on Monday that Walmart, the country's largest private employer, is changing requirements for front-door jobs in a way that appears to disproportionately affect workers with disabilities. Just last week, greeters across the country were told their jobs were going away on April 25 or 26, to be replaced with "customer hosts," more focused on security and helping shoppers. The host job description demands that workers be able to lift 25 pounds, collect carts and stand for long periods of time, among other things — tasks that can be difficult or even impossible for many current greeters with disabilities. Walmart has since said it would extend the deadline for greeters with disabilities but did not specify for how long. Walmart also has not commented to NPR about a lawsuit and complaints with the Equal Employment Opportunity Commission — filed in four states by five greeters who have disabilities and say they lost their jobs after requirements changed. "Because not all disabilities are the same, each case requires a thoughtful solution. For that reason, we are looking into each one on an individual basis with the goal of offering appropriate accommodations that will enable these associates to continue in other roles with their store," Foran wrote in a letter to store managers late Thursday. "Let me be clear: If any associate in this unique situation wants to continue working at Walmart, we should make every effort to make that happen," Foran said. "On the one hand it is a good sign that [Walmart is] putting out a letter recommitting their desire to be a good workplace for people with disabilities," said Katie Eyer, professor of anti-discrimination law at Rutgers. "But it certainly doesn't make any commitment that they are guaranteeing that there will be another position available" for all greeters affected by the change in job requirements. In his letter, Foran describes the new customer host positions as requiring skills like "handling customer refunds, scanning receipts, and checking shopping carts." However, the current and former workers told NPR the greeter position typically already includes these tasks. Some of the greeters, whose stories garnered nationwide attention, have now accepted new positions. 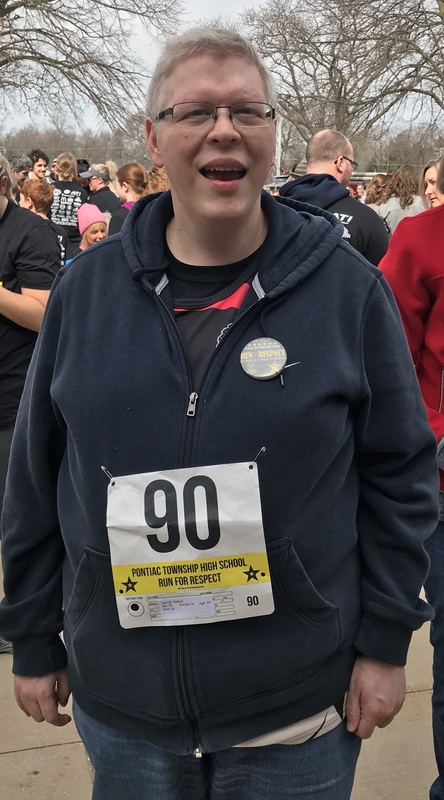 Adam Catlin, a longtime greeter in Pennsylvania who has cerebral palsy, will transition into a different position on April 27, according to a Facebook post by his mother on Friday. 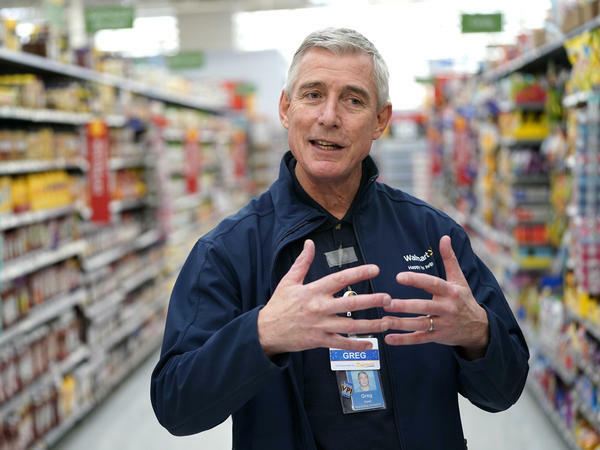 Walmart said on Thursday that another longtime greeter in North Carolina, Jay Melton, will now work as a self-checkout host. Confusion and anxiety continue to reign in many other cases. Some greeters told NPR that this policy also affects many elderly workers, who haven't received as much attention. Four workers in four other states told NPR on Thursday and Friday that they've received no new offers from Walmart management. In fact, they said they've learned of all updates — including the deadline extension — from the media. One greeter and families of three workers described the chaos and anxiety that have consumed their lives following announcements by management that greeter jobs are going away. Nathan Joerndt, 35, has been a Walmart greeter in Illinois for 18 years. He says the news that his job is going away has been "absolutely heartbreaking." "Absolutely heartbreaking," was how Nathan Joerndt put it. He has a developmental disorder called Williams syndrome, which affects his depth perception, among other things. At 35, he has been a greeter in Illinois for 18 years. Joerndt's sunny demeanor has changed in the past week, said his mother, Vickie Fogarty. In recent months, she said, his hours have been cut — another common complaint NPR has heard from other greeters with disabilities. Now Joerndt is working just one day a week and wondering what he did wrong to be losing his job. He said the work has meant "just everything" to him. Fogarty said the past week has been "like trying to juggle chainsaws." She and Joerndt are hoping for a meeting to discuss his options next week. "Part of me is afraid that ... they're going through the motions to appease people now, but eventually, down the road the results will be the same," Fogarty said. "I don't want to get Nathan's hopes up and in six months, they're going to do this all over again." 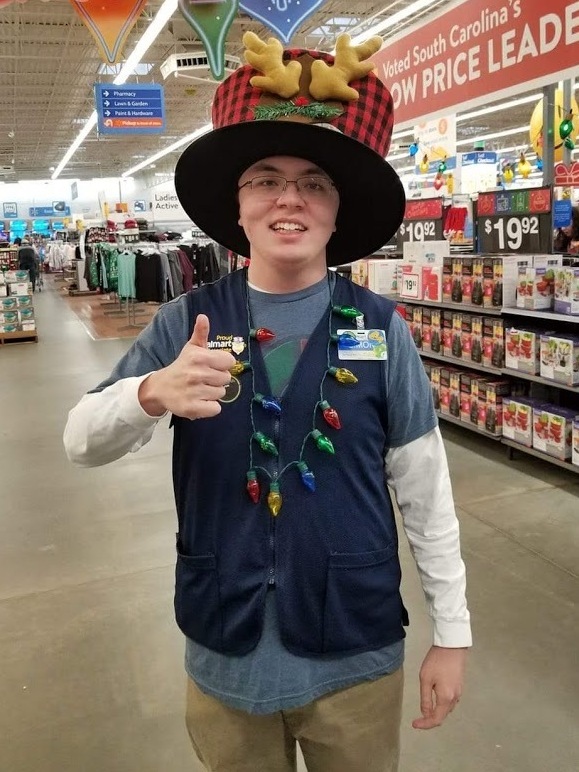 "I just don't understand why they just want to get rid of greeters," said Simon Cantrell, 21, who works as a "people greeter" at a Walmart in South Carolina. In South Carolina, the family of Simon Cantrell has not received any new updates about his job. Cantrell, 21, has autism and his father said he has been told he wouldn't qualify for the customer-host position, but they are hopeful for another job. "I felt kind of disappointed about how they're going to get rid of greeters," Cantrell said. "I know people are very proud of me and how hard I work, but I just don't understand why they just want to get rid of greeters." The Americans With Disabilities Act does not preclude companies from changing their job descriptions and requirements as they see fit for their business goals. But the law does require companies to find "reasonable accommodations" for workers with disabilities facing changing job demands, as long as the worker can perform the "essential functions" of the job. And so Walmart has an obligation under the ADA to transfer its existing greeters with disabilities to other jobs for which they're qualified, if they're unable to perform the job with the new requirements, said University of Michigan law professor Samuel Bagenstos. "I read [the CEO letter] very much as a sop," Bagenstos said, "both to public relations and the law."